Be prepared to smile! 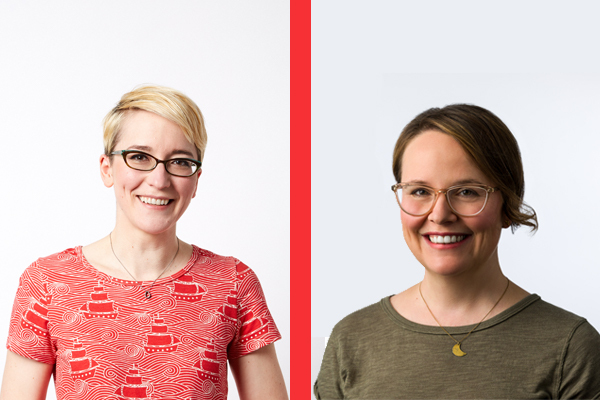 Join us in welcoming two award-winning graphic novelists, Raina Telgemeier, creator of the Eisner Award-winning graphic memoirs Smile and Sisters, and Vera Brosgol, creator of the 2017 Caldecott Honor picture book, LEAVE ME ALONE! Raina and Vera will discuss the inspirations for their graphic novels SMILE and BE PREPARED, followed by a Q&A and signing. Tickets for this event are SOLD OUT. If you would like to purchase a signed copy of Raina or Vera’s books please click the book below and add it to your shopping cart. While ordering, please leave a note in the comments section to have the book signed and to whom you would like it personalized. You can also call the store at (508) 699-0244 and order your copy over the phone.